In October 2017, the New York Times published a story detailing decades of allegations of sexual harassment against producer Harvey Weinstein. Throughout 2018, Weinstein has been in court fighting charges. This focuses on a less-publicized dealing — funneling donations through a charity via its fundraising auction gala. AmFAR is the charity, and I feel badly for their leadership. You may also cringe when you read it. It’s a story about a wealthy, headstrong donor directing a nonprofit into a bad situation, and the Board trying to balance its genuine desire for funding to support its cause with a powerful donor’s wishes. William D. Cohan published “Nothing About this Deal Feels Right to Me”: Inside Harvey Weinstein’s Other Nightmare,“in the December 2017 issue of Vanity Fair. Other details have been shared in Variety, NBC, Hollywood Reporter, and other publications. If you’re a Board member, Gala Chair, or Auction Chair, you might be able to relate to the story, albeit on a smaller scale. Weinstein was a big donor to AmFAR. He was never a Board member, but he used his influence to exert pressure on AmFAR’s Board. Eventually the nonprofit bent some long-established rules (that is, “no profit sharing from auction items sold”) to accommodate him. AmFAR’s Board President of 10+ years — fashion designer Kenneth Cole– agreed to Weinstein’s proposal. It spun out of control, created a rift in the Board, and resulted in Cole and four other Board members resigning earlier this year. Many of the articles I’ve read about Harvey Weinstein are tied to his work with movies. I suspect it’s because most of those articles discuss the sexual harassment claims, and the names of the women I recognize are from the silver screen. But Weinstein also brought many shows to Broadway. The Finding Neverland production was a $15.2 investment. This is the production linked to the transactions the State of New York is currently investigating. The American Foundation for AIDS Research, or AmFAR, was co-founded in 1985 by Hollywood star Elizabeth Taylor and Sloan-Kettering scientist Dr. Mathilde Krim. AmFAR’s mission was to find a cure for AIDS. For over 20 years, AmFAR has held a gala at the Cannes Film Festival, raising over $120 million during that time. Each year, Harvey Weinstein would fill some tables with famous celebrities and wealthy contacts. 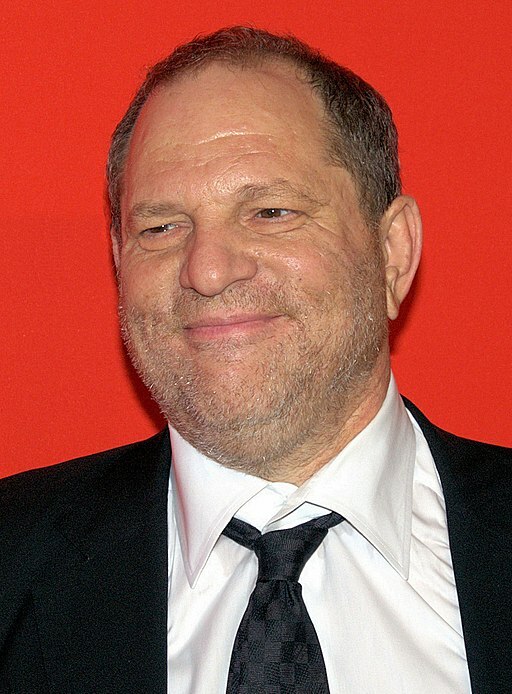 At the 2013 gala, Weinstein donated an auction package that included a pass to attend the exclusive Hollywood parties thrown during Oscar week, including attending the Vanity Fair Gala. That donation sold for $800k (though apparently, the bidder never paid). At the 2014 gala, Weinstein offered the same auction package, but this time he wanted to split the proceeds from his donation between two charities: AmFAR would get half, and the other half would be divided between the United Nations High Commissioner for Refugees and the American Repertory Theater (A.R.T.) where his production of Finding Neverland was in a tryout run before moving to Broadway. AmFAR had never split proceeds from an auction lot with another charity. I’ve split proceeds from packages at two different auctions in 2018. Watch for an upcoming blog post about why and how this was done — and when you might want to agree to do it. The nonprofit debated internally as to whether they should do this. From AmFAR’s perspective, they worked hard to get specific donors in the room and didn’t like the idea of sharing the sale. Other charities that better fit their own mission had approached them in the past and AmFAR had refused. But Weinstein was determined. And he was an important donor. Ultimately, AmFAR agreed to his idea under the condition that two identical lots be sold. Proceeds from the secret second package would be split with the other charities, but proceeds from the first package would go to AmFAR only. Weinstein secured the second lot. Oof, how did five packages get sold when only two were available? I’m curious as to the back story. With the sale of five lots instead of two, AmFAR first had to see if Weinstein could secure an additional three packages. But Weinstein came back with a completely different idea. He asked AmFAR to see if any of the two of five bidders would pay $420k each. Additionally, he wanted 100% of the proceeds from the second lot to go to his two hand-picked charities; $0 to AmFAR. How would you have handled an important donor changing the rules mid-stream? You had agreed to one set of rules with your auction donor, but now the donor is changing those rules. Are you ready to put your foot down? Maybe not quite yet, given the donor’s influence? Though AmFAR is an enormous gala, these types of challenges crop up in small auctions too. For instance, in 2017, one of my clients sold an item in their silent auction that — according to the donor of the item — didn’t sell high enough. He refused to fulfill the donation, and the nonprofit opted to refund the buyer her money. AmFAR agreed to talk to the five buyers. They made it clear it was Harvey Weinstein — not they — who asked for this. They also explained that the donation would be supporting other charities. In the end, the two lots didn’t sell at the higher price. This brings us to Cannes Gala 2015. The creative Weinstein offered yet another new deal. By this time, Finding Neverland had been playing for one month on Broadway. Unbeknownst to AmFAR, Weinstein wanted to recoup some of the $2.05 million he’d given towards the production when it was in its tryout stage in Cambridge, MA at American Repertory Theater (A.R.T.). He arranged a deal with A.R.T. that he would get his money back, if he could get third parties to donate that amount to A.R.T. To get some of that money, Weinstein asked for three lots to be sold at AmFAR’s Cannes auction in May. One was the same donation offered in prior years (admission to Oscar parties, with an added bonus of a photo op with Bradley Cooper). The other two lots were for private photo sessions with fashion photographer Mario Testino. Two weeks before the auction, Board President Kenneth Cole told AmFAR’s CEO (Kevin Frost) that he’d agreed to give Weinstein $600k from the proceeds of those three lots, if those packages sold for at least $1.2 million, which is what Weinstein predicted. When clients share this type of conversation with me, I ask questions. “Who attended the other gala? Do your guests have the same financial wherewithal? Do we know if the buyer was pre-arranged?” My point in asking these questions is that someone else’s gala isn’t your gala. The email was written by a sales rep who had never seen the client’s gala, nor had any of the event’s prior year’s numbers. Yet, like Weinstein, he was confidently telling my client that he could get her gala to $1 million, if only she would add 16 of his auction packages to her gala in six days. When someone gives you big projected revenues, be wary. At the gala, the auction raised $909,699 from those three lots — not the $1.2 million Weinstein had projected. Even so, Weinstein said he should get the $600,000 for A.R.T. (which would leave AmFAR with $310,000 of the sale), AND insisted that the money be paid to A.R.T. by June 1, which was just two weeks later. Apparently this created a lot of drama within AmFAR as the nonprofit doesn’t book the money until the “event” happens. In this case, the “event” was the Oscars, which weren’t scheduled for several months. Similarly, the photography shoots were not going to be fulfilled anytime soon. I am assuming that “booking the money” means “collecting the money.” I found it interesting that AmFAR collects the money from the auction sale when the donation is actually used, not when it is sold. To my knowledge, all of my clients collect money from the sale immediately. Maybe the nature of these sales dictates that the money is collected later? I’m not sure. Weinstein insisted that his payment happen immediately, so he offered a new idea. As AmFAR wouldn’t have the money for awhile, the money due him should be taken from the sale of an unrelated auction package. Though AmFAR didn’t know it and didn’t ask why, the reason Weinstein was insistent was because he had an agreement with A.R.T. Unless the theater received its third-party donations by June 1, Weinstein wouldn’t be returned his money. Instead, his contribution would be considered a donation. Given that the Cannes gala was in mid-May, the June 1 deadline was just around the corner. AmFAR wasn’t moving quickly enough to satisfy Weinstein, so hours before the June 1 deadline, Weinstein offered new deal to Board President Cole. Weinstein would wire $600k of his own money to AmFAR. AmFAR would then immediately wire the same amount to A.R.T. A.R.T. could then repay Weinstein. Once the money on the auction packages from the Oscars and the photography sessions was collected a few months later, AmFAR would return the money “loaned” by Weinstein. The arrangement felt odd. AmFAR thought they should run this arrangement past their auditor at Grant Thornton. The auditor said he could review it, but not until the next day — June 2. Because A.C.T. (read: Weinstein) needed that money transferred by June 1, AmFAR skipped the review. At 3:46 PM, Weinstein wired $600k to AmFAR. Seventeen minutes later, $600k was wired to A.R.T. As part of this transaction, Board President Cole had negotiated something for AmFAR. AmFAR wanted to honor Weinstein in New York at a February 2016 gala. Cole estimated that AmFAR could raise $1 million if Weinstein agreed to participate. And then, shortly after AmFAR held that gala, a special committee of the AmFAR Board hired a litigator to look into all those transactions from Weinstein, wondering if they were they legal. The story continued and is worth reading in Cohan’s story, but here’s a snapshot. The hiring of a litigator made Weinstein angry. He hired a private spy agency (Black Cube) composed of former Israeli intelligence officers to track down dirt on each Board member. The Board broke into factions, some supporting the Board President’s decision to work with Weinstein, others not. After working with AmFAR for 30 years, Kenneth Cole stepped down in February 2018. Four Board members left with him. In May 2018, the 25th Cannes Gala was held. Also in May, the Manhattan District Attorney’s office issued subpoenas to get documents related to the Weinstein investigation. In September, federal attorneys started investigating Weinstein to see if he violated federal wire fraud laws when he hired Black Cube to spy on the Board members. I think nonprofits of all sizes can relate to elements of this story. Maybe you’ve had to placate a big donor who is a bully, or shine a light on questionable financial transactions. Sometimes matters aren’t illegal, but just have the sense of impropriety. Many times there are a lot gray issues. Got comments? Post them below. I haven’t been in the nonprofit sector very long. It seems these transactions could result in the loss of their nonprofit status. Everything Weinstein did with directing where the funds should go smells like an illegal scheme. I’m not up-to-speed on those rules, Denise. But based on other articles I read, the former Board President Kenneth Cole said he’d been told by AmFAR’s attorney that the charity wasn’t the subject of the investigation, but was serving as a witness to whether Weinstein improperly benefited from donations. Here are three other articles that might be of interest to you.